Ingredients: *Cocos Nucifera (Coconut) Oil, Mica, *Cera Alba (Beeswax) (Cire d’abeille), *Simmondsia Chinensis (Jojoba) Seed Oil, *Theobroma Cacao (Cocoa) Seed Butter, *Ricinus Communis (Castor) Seed Oil, Tocopherol (non-GMO), *Helianthus Annuus (Sunflower) Seed Oil, *Rosmarinus Officinalis (Rosemary) Leaf Extract, Silica, Titanium Dioxide (CI 77891), Iron Oxides (CI 77489, CI 77491, CI 77499. 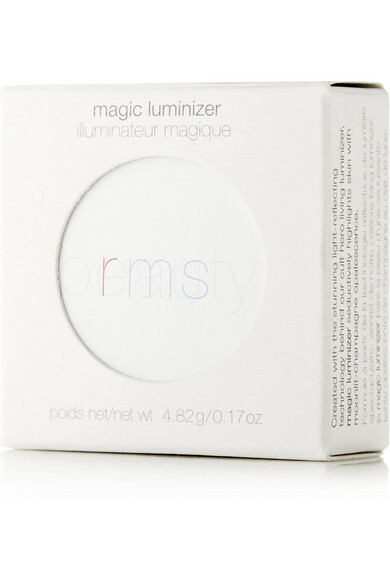 RMS Beauty's 'Magic Luminizer' is filled with light-reflecting minerals to create an ethereal, lit-from-within glow. 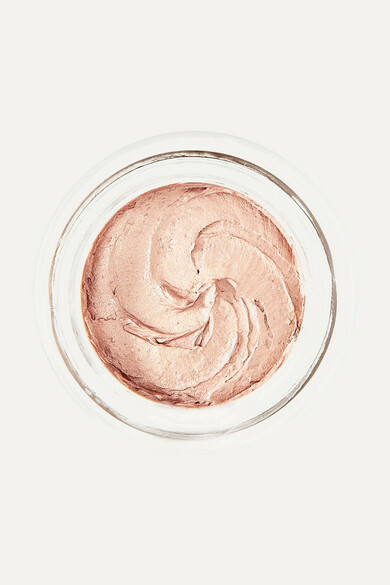 A universally flattering champagne hue, this creamy highlighter blends seamlessly into the skin to leave behind a warm sheen. Try mixing yours with your eyeshadow and blush, too.